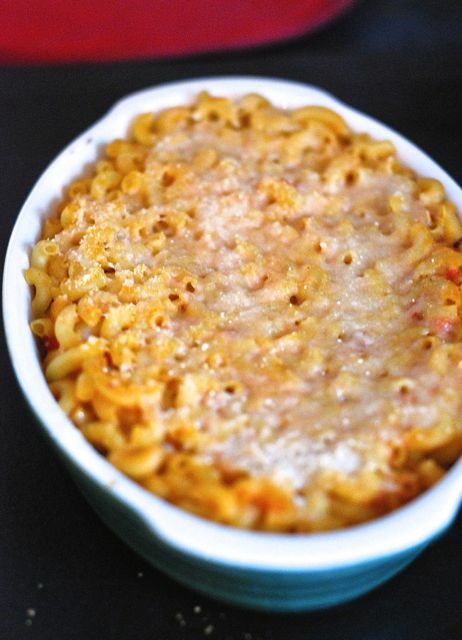 We all love macaroni and cheese, but why not take it over the top and give it a pumpkin twist this fall?! 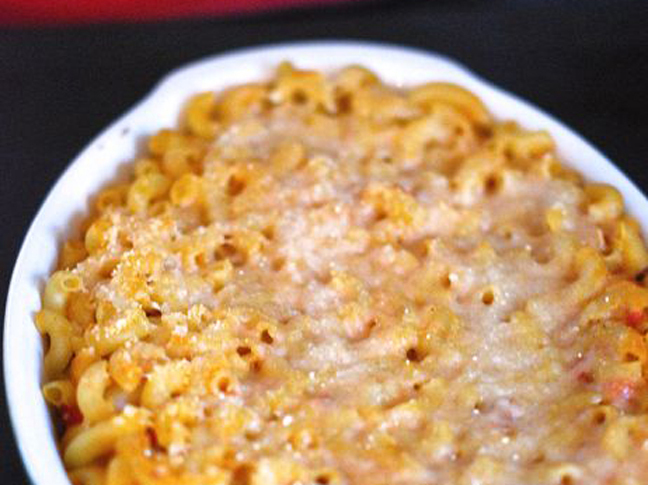 That’s right, pumpkin macaroni and cheese. And it is so much easier than you think. My favorite technique for making it is to make a classic cheese sauce and stir pure pureed pumpkin right into it. Then I toss in the pasta and bake it up in classic casserole style. The result is the most perfect, ooey gooey casserole that everyone adores. It is perfect for fall dinner at your house tonight! Step 2: Cook the pasta according to package directions, drain, and set aside. Step 3: In a large saucepan over medium heat, add the pumpkin and milk and whisk until completely smooth. Add a pinch of salt and pepper, the thyme, and the Gruyere cheese. Whisk well until the cheese begins to melt. Add the pasta and stir it into the sauce. Step 4: Pour the pasta and sauce into a 13x9 baking dish. Sprinkle the Parmesan evenly over the top. Bake the pasta for 20 minutes, or until the top is lightly browned and the sauce is bubbling.